Stara Zagora is one of the oldest cities in the world. Nowadays this is not very visible because the city has witnessed many cataclysms through history and was burned entirely numerous of times. However, my childhood memories include playing on ancient Roman and Byzantine remains. In my school’s yard there are still ancient stones with carvings and inscriptions on them. And where used to be an old Roman street, now is the beautiful new building of the history museum with the Roman street preserved in its lowest level. I loved growing up in this city and I still love visiting it often with my family. Through the years, many new tourist attractions appeared there and I am very curious to discover them. 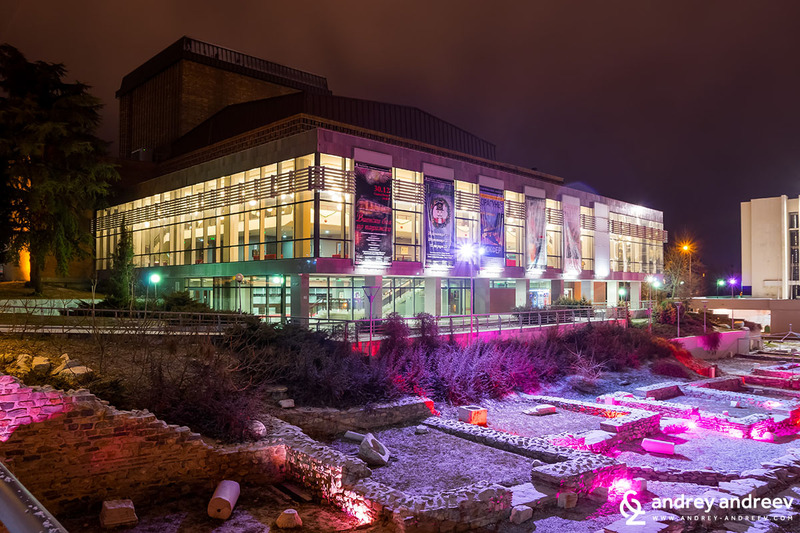 This is why I want so much to tell you about it and invite you to visit it – Stara Zagora becomes more beautiful each year and it is a great place to go as a tourist. Why go to Stara Zagora? 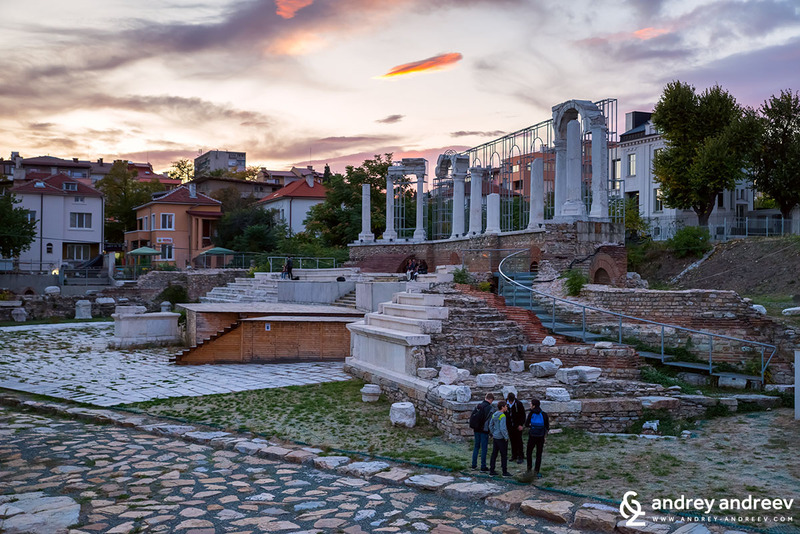 Stara Zagora is actually one of the most underestimated cities for tourists in Bulgaria. Everyone know that it is a nice city for living but few people go there for tourism. However, there are plenty of interesting and important places to visit. It’s a shame that I go to some of them very rarely but while working on this article, I visited each one of them and I can say that they are absolutely worth the attention. Stara Zagora had 7 different names through time. During Thracian times it was known as Beroe. In the Roman Empire it was first called Augusta Trayana, in the name of emperor Trajan. Then Irinopolis, after emperor Irina. Bulgarians used to call it Boruy. During Byzantine times its name was Vereya. And under Ottoman rule – Eski Zara. In 1854 it was renamed to Zheleznik. Since 1870 it bears its current name – Stara Zagora. Actually, Stara Zagora was inhabited long before the Thracians but we don’t know how it was called then. Stara Zagora is very rich of historical heritage. Most of this heritage is now managed by the Regional Museum of History. But he interesting places to visit are not only inside the building of the museum in the city centre but across the whole city. The main museum building is located in the city center. It is a new and shiny one, with architecture in the shape of an hourglass. It was build above the remains of the main street of Augusta Trayana – cardo maximus. Today you can still walk on that street on the lowest floor of the museum. 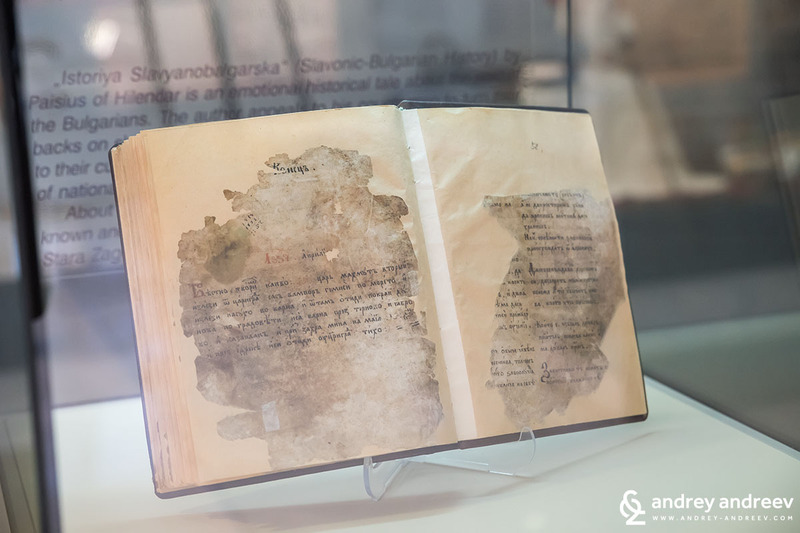 In the museum, you can see artifacts from all historical periods of Stara Zagora’s existence – from the antiquity to presence. 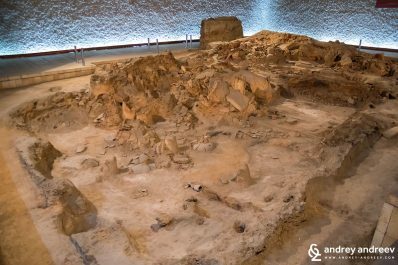 However, I would advise you to pay for a guided tour and learn much more interesting things about Stara Zagora than you will learn by just watching the exposition. This museum hosts one of the most historically important revelations in European history. 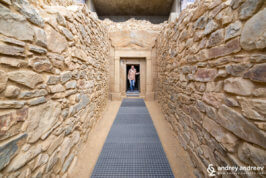 In the museum are preserved the remains of a Neolithic house, dating back to the 7h millennium B.C. 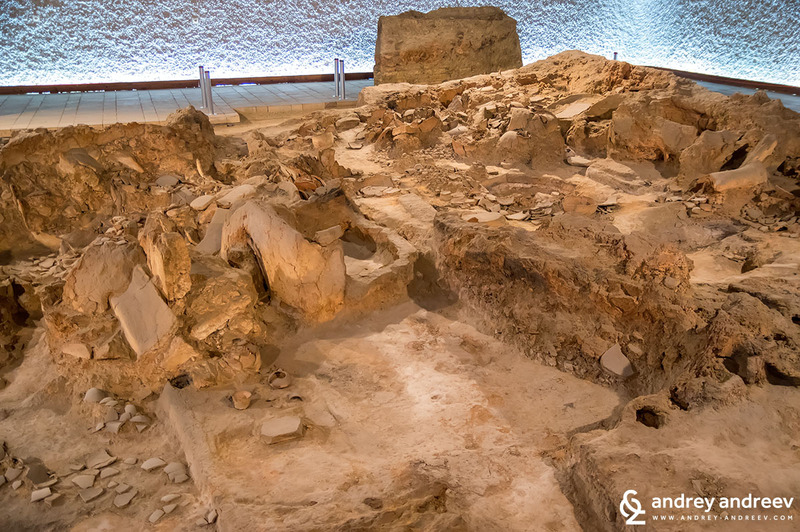 It was discovered during archaeological works in 1969. What is so special about it? It is the only and the best preserved two-floor, man-made house from this era in Europe. 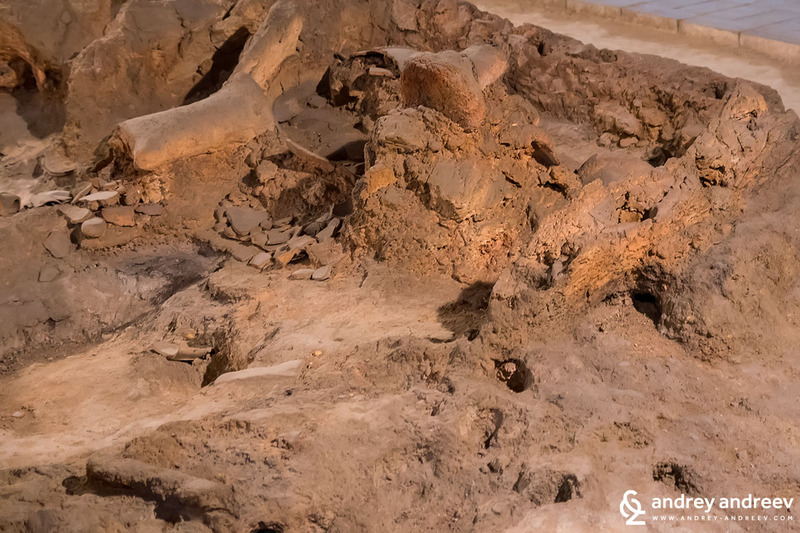 Inside the museum you will find incredible well-preserved remains of this old home, including fine ceramics, grain reservoirs, parts of walls. It presents incredible evidence how people lived 9000 years ago and how complex there life was despite not knowing many contemporary technologies. It is known that within the boundaries of the today’s city there used to be many Neolithic settlements. 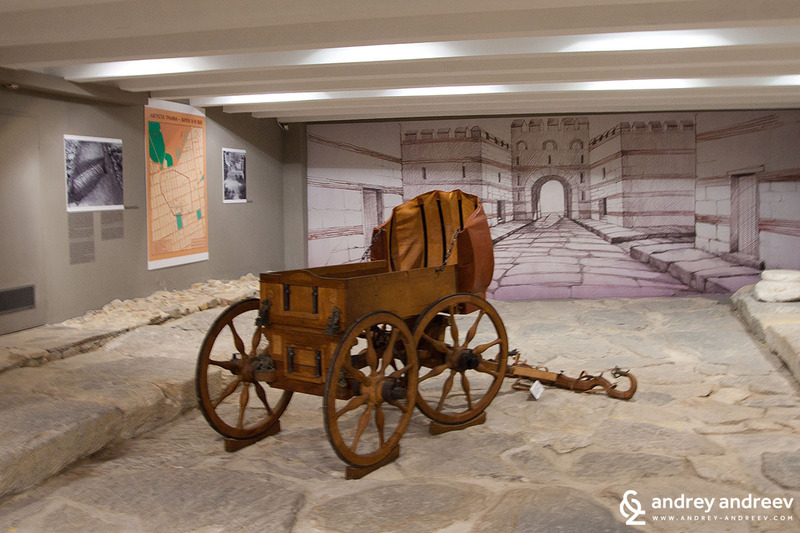 According to me, Neolithic Dwellings museum is a must if you are visiting Stara Zagora. But ask for a guided tour, otherwise you might not notice all the important artifacts. 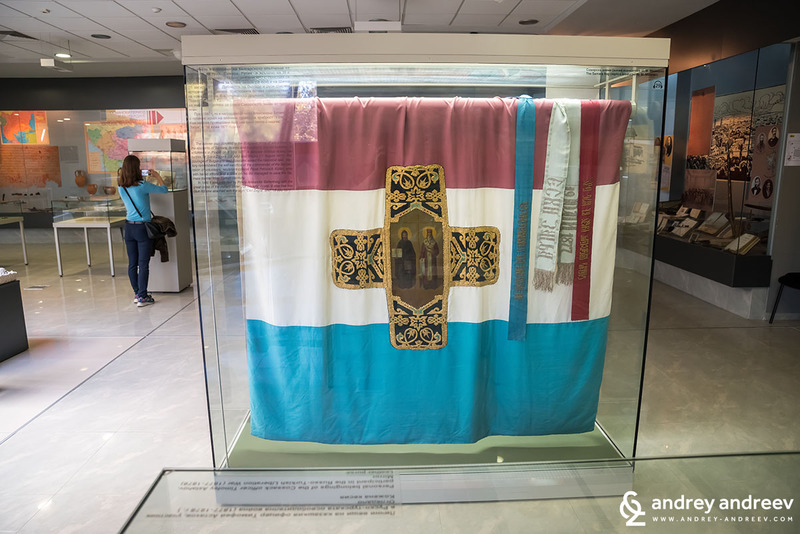 The Regional Museum of History is administering several more places of interest. One of them is an ancient Roman mosaics. Another one is a house museum representing Bulgarian life in 19th century. The third one is the building of a nunnery in the yard of St. Dimitar church. All of there places you can visit after reservation in advance. Call the museum of history to arrange your visit. If you are an art lover, Stara Zagora has an art gallery with more than 4000 works. There are mostly by Bulgarian and local authors. The building is located in the center of the city, just against the Regional Museum of History. The house where Bulgarian poet and revolutionary Geo Milev worked and lived is now a museum of his works. It collects many manuscripts as well as printed publications of the poet and also about him. 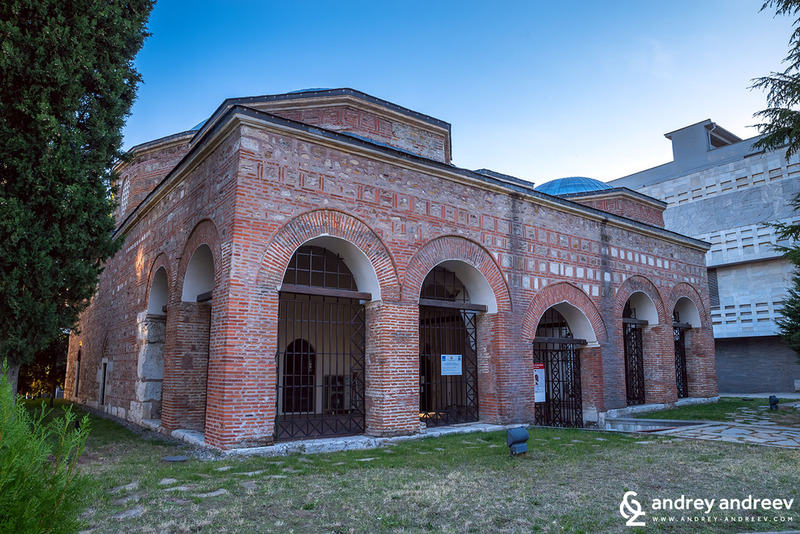 The old mosque in Stara Zagora is now turned into an interesting museum of religions. It is known that the place was used for religious purposes for millennia. Under its floor have been found remains of cult objects dating back to 12 000 years ago. It features also remains of a sanctuary from 2-3 century. Then in the middle ages there was a Christian church and cemetery. 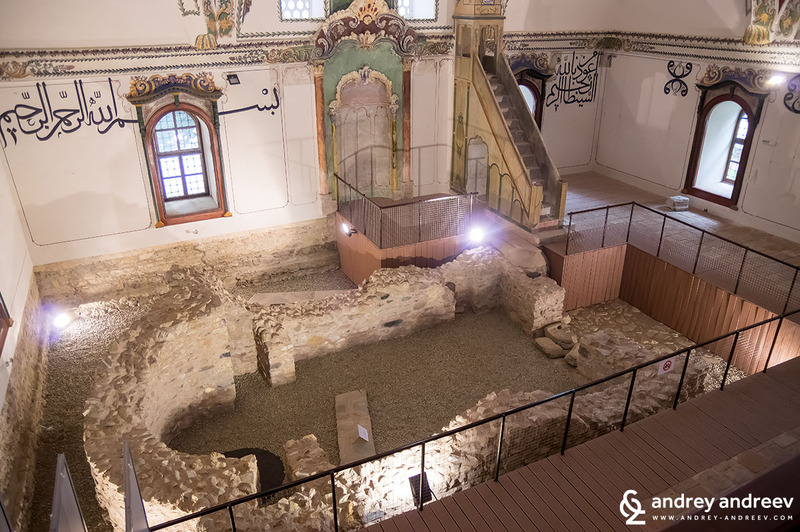 During ottoman times, it was a mosque. 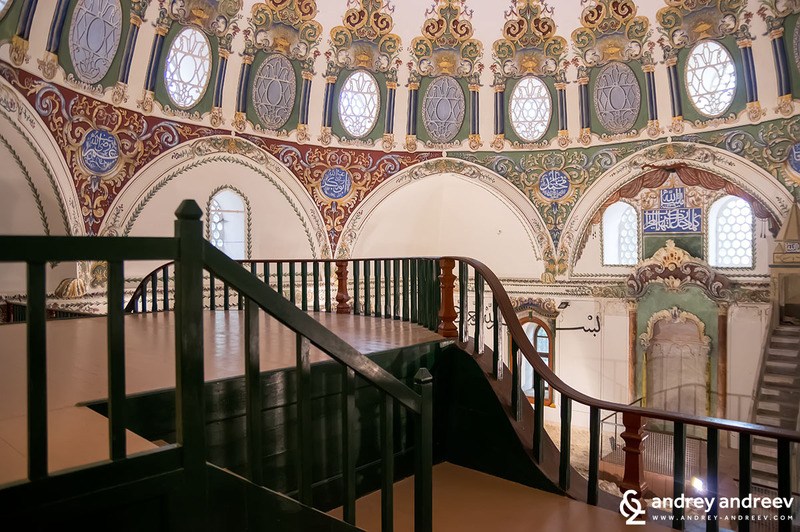 In the contemporary museum you can see representation of all these religious places and the restored building of the mosque itself. It features beautiful decoration. When you’ve had enough of historical museums and information, there is a fresh retreat and it’s called Museum of Beer. It is located inside the Zagorka brewery – one of the largest breweries in Bulgaria. 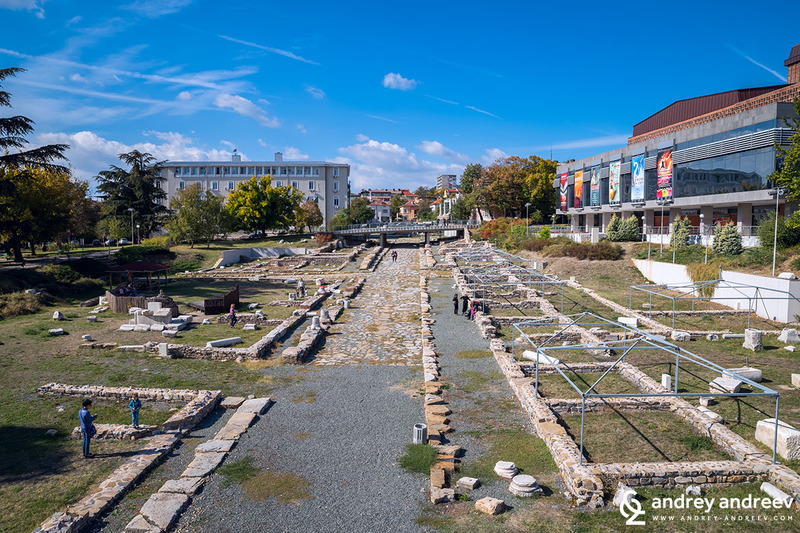 There you will find not only artifacts of beer production in Bulgaria but will also be offered a guided tour through the factory to see how beer is being created. At the end, of course follows beer tasting. 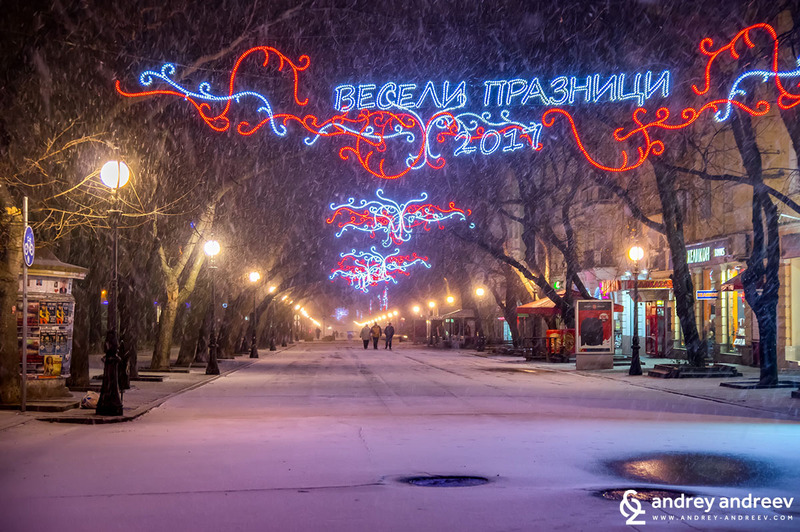 The pedestrians’ paradise in Stara Zagora is the central part of the main street Tsar Simeon Veliki. About a kilometer long, this entirely pedestrian zone is surrounded by cafes, shops, restaurants and two beautiful parks. At its western end is the 5th October park, known also as the City Garden. At the other end is Alana park, another favourite place of locals. The wide promenade is great for walking, biking, roller skating and many other activities. In 2018 and 2019 it went through a mass renovation and we hope it will be even more wonderful when open in summer 2019. A few steps from the main promenade is the Roman Forum complex, consisting of an ancient main street and a Forum. 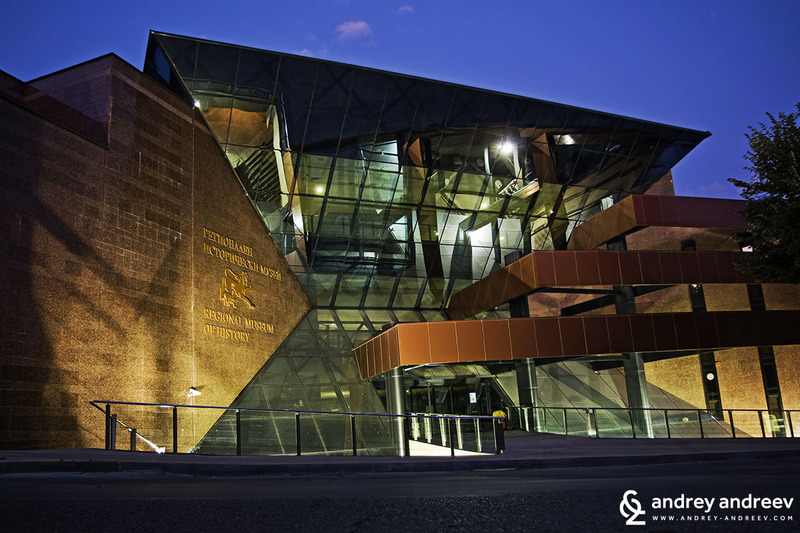 They are located just next to the buildings of the Museum of History and the Opera house. It’s a pleasant place for walks and taking photos. The locals are not used to spend a lot of time there because it was reconstructed just a few years ago, but we love it and it is a great historical place. In the summer there are also open-air opera performances in the Forum and I believe it’s great to attend one. 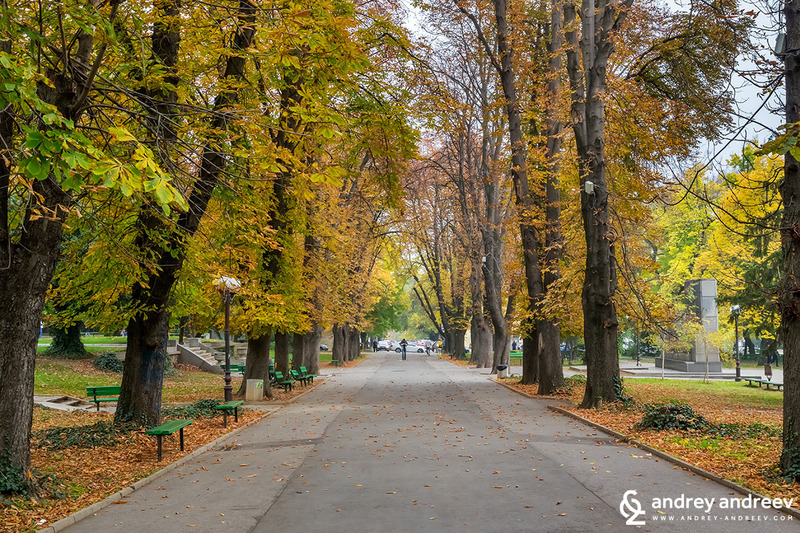 Stara Zagora is one of the greenest cities in Bulgaria and has a lot of parks. Besides the two central gardens, the most popular and probably largest park is Ayazmoto. It is located in the northern part of the city and is reachable by a walking promenade starting just above the Forum. It is a short and pleasant walk but the park itself is very large and you could spend hours there if you wish. 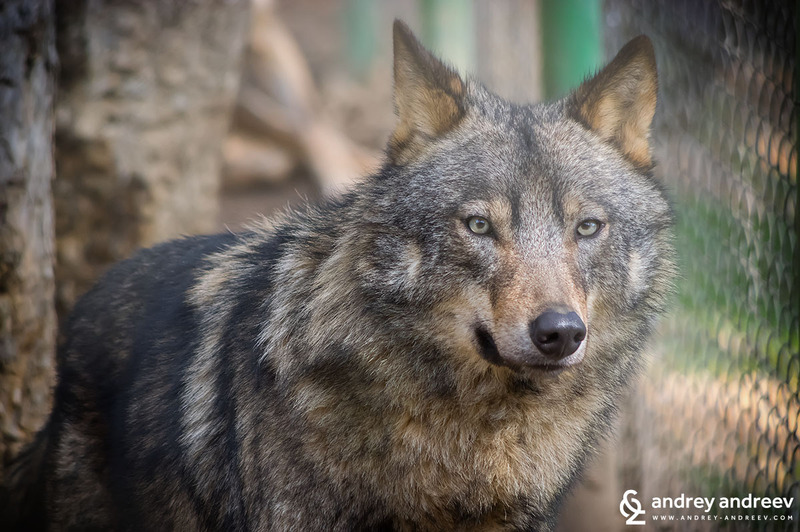 Inside Ayazmoto park is the Zoo of Stara Zagora. It is not very big but is a nice place, especially if you travel with children. 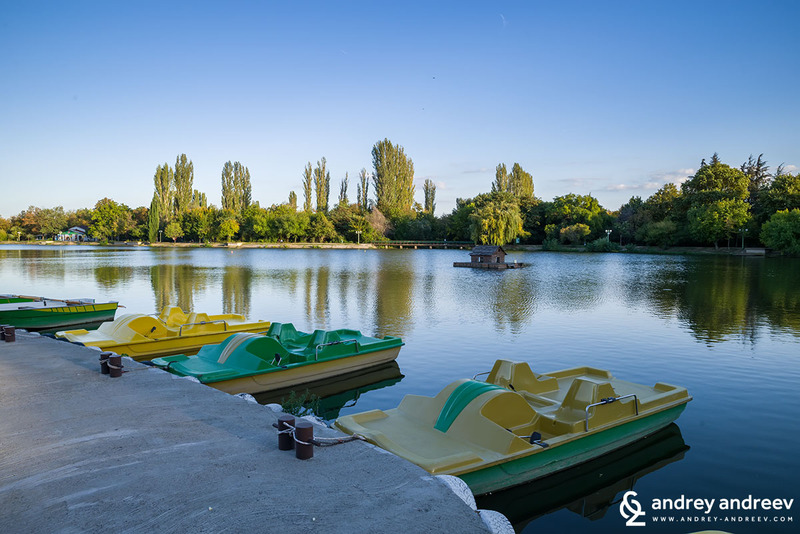 Another nice park is Artileriyski – a relatively new park in the western part of the city. In the hot seasons, it is not the best place because of the lack of big trees and good shadow. But it Is a large and pleasant parks with many playgrounds, dog areas, beautiful fountains and walking areas. 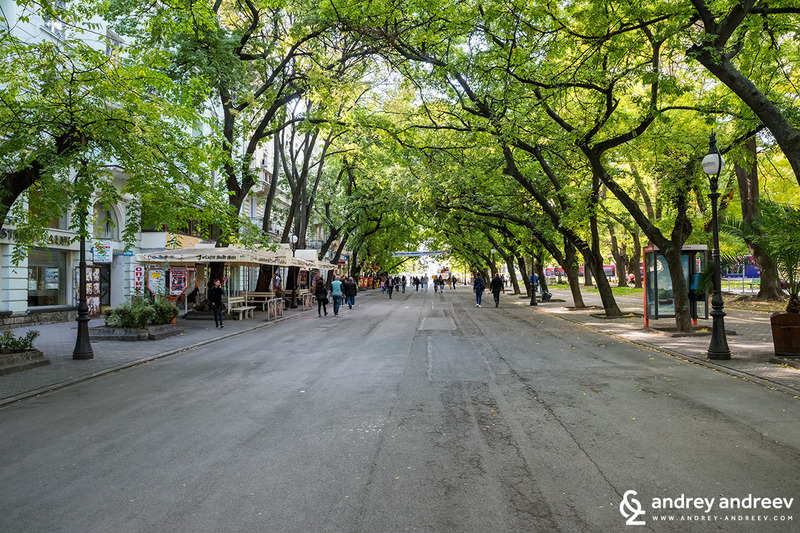 There are numerous of gardens and little parks every few blocks in Stara Zagora. So if you feel tired, you will always find a place to have some rest. 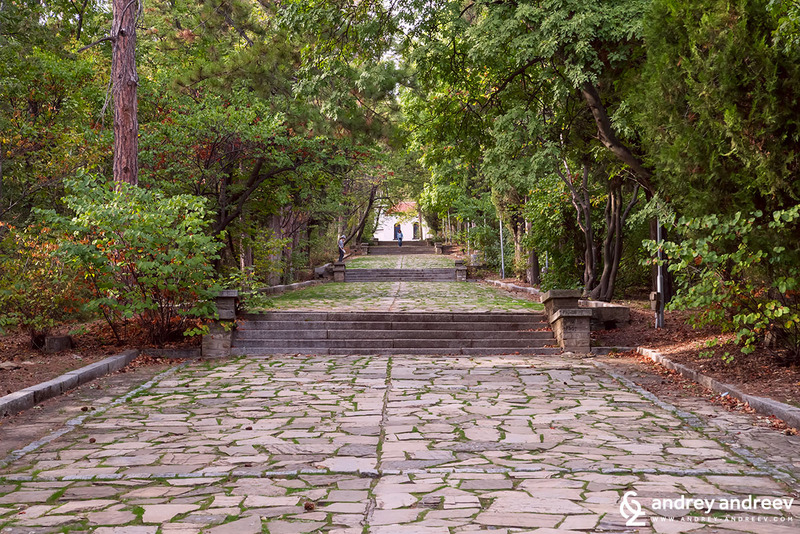 The memorial complex The Defenders of Stara Zagora 1877 is located on a hill in the eastern part of Stara Zagora. It is dedicated to those who gave their lives in the Bulgarian liberation war in 1877-1878. 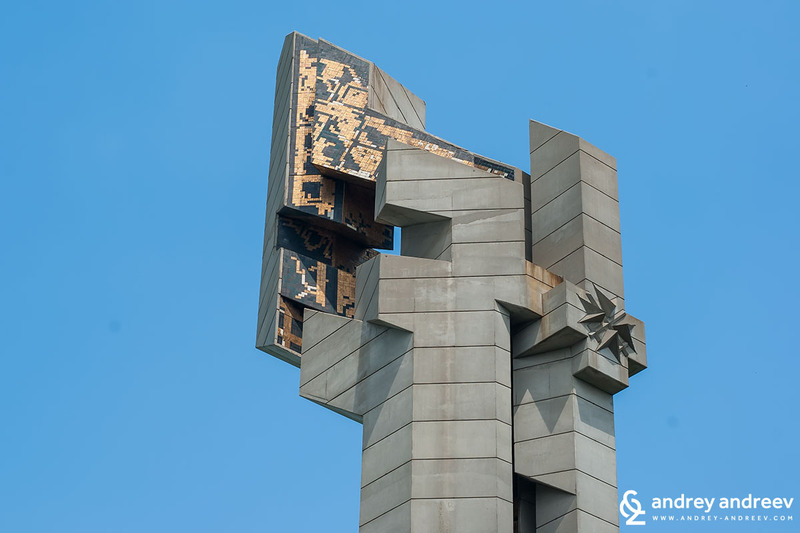 It was erected in 1977 for the 100th anniversary of the war. The complex is consisting of a 50m tall concrete flag and figures of soldiers. An impressive place always makes us think about our history and freedom and the courage of those who fought for it. 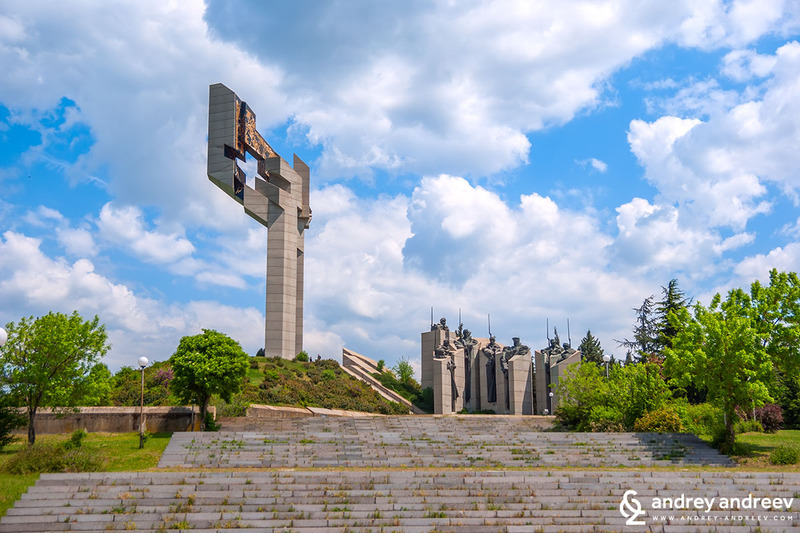 It is also a symbol of Stara Zagora and offers a nice panorama towards the city. The complex is around 3 km from the city centre, reachable by car or by bus number 17. How long to stay in Stara Zagora? Stara Zagora has plenty of nice places both for history and museum lovers and for those who prefer exploring the streets and cafes. A weekend is a great idea to explore the most impressive parts of the city and enjoy them. Moreover, Stara Zagora has one of the best weathers in Bulgaria. Actually in the summer is quite hot, but in other seasons it’s usually warmer than in other parts of Bulgaria and in the winter it rarely snows. I would advise you to visit a theatre or opera performance but they are usually held on weekdays. We rarely miss an opportunity. 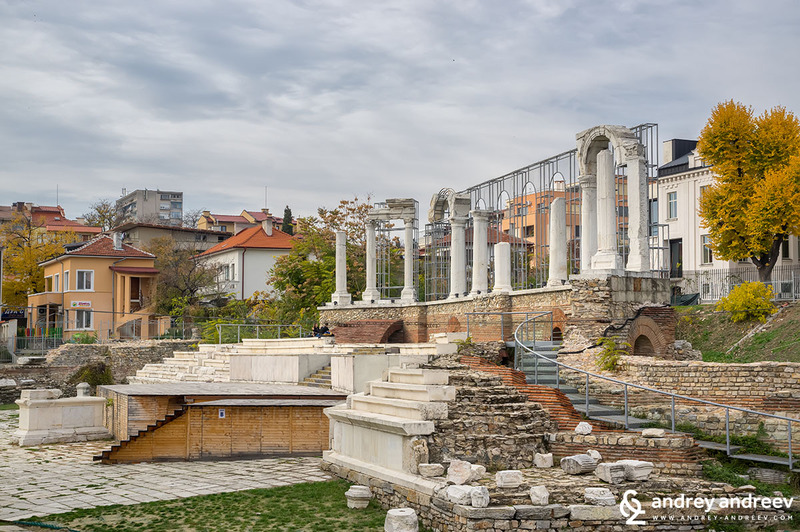 Stara Zagora is a wonderful city and if you are located in Bulgaria for longer, it’s worth visiting more than one time. If you are still planning your trip, put it in your interest list. It becomes more and more beautiful year after year and if someday we decide to relocate from Sofia, we would probably come here. Tip: First thing to do when you arrive in Stara Zagora is visiting the Tourist Information office. It is located in the very centre, just in front of the museum. The workers there will help you navigate around the city and will advise you for nice places to eat and drink. 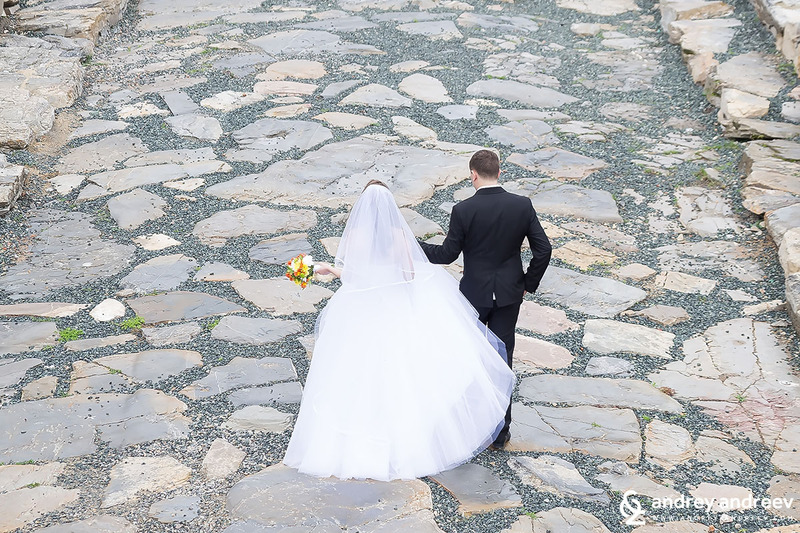 Ask them any other questions you might have about Stara Zagora. Where to stay and eat in Stara Zagora? Because we insist to never write about places we have not experienced personally, we avoided writing about hotels in Stara Zagora. The reason is that Andrey is from Stara Zagora and we always stay with his parents when in the area. However, we know that you may not have relatives in Stara Zagora, so we made a quick research about the places where we would stay if we did not have a villa around. For us the most important thing is the location of the hotel, no matter whether you are in town for business or leisure. However, not less important is the comfort. We admit that we do not have direct experience with hotels but it is never too late. If you prefer to be in the city centre and everything to be on a walking distance, there are two hotels we would probably pick. They have great locations and nice restaurants and also look quite good. One of them is the 3-star Uniqato and the 4-star Best Boutique Hotel. We cannot say which one you will like more but they look like worth trying. If you are in town with an automobile and you need rather a comfortable place with nice parking than walking distance to the city centre, we would also advise you to check the 5-star Park-Hotel Stara Zagora. We have not stayed in it but often visit its restaurant, which we really lie. Just next to the hotel is the artificial lake Zagorka, which Maria finds a very nice place for walks and rest. Near the hotel is also the brewery Zagorka, where you can take a beer tour. 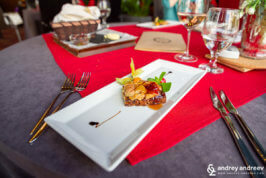 For the lovers of fine cuisine, we recommend the restaurant of Best Boutique Hotel, where we personally know the chef and we have tried some amazing dishes. One more place to eat in Stara Zagora – restaurant Antony, which we discovered very recently. 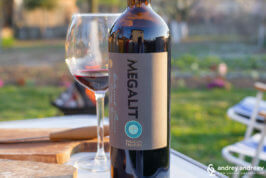 It has a very interesting and delicious menu, we hope you will like it, too. If you like SPA experiences and mineral water, you could also visit the Stara Zagora Mineral Baths, where you will find many hotels with SPA facilities. This has completely changed my perspective on this beautiful green city! Thanks so much for this incredible post :) We may be visiting this beautiful place sooner than we ever thought!